David Aglah is a vibrant comedian with a unique style and one of the finest stand-up comedians in Ghana. 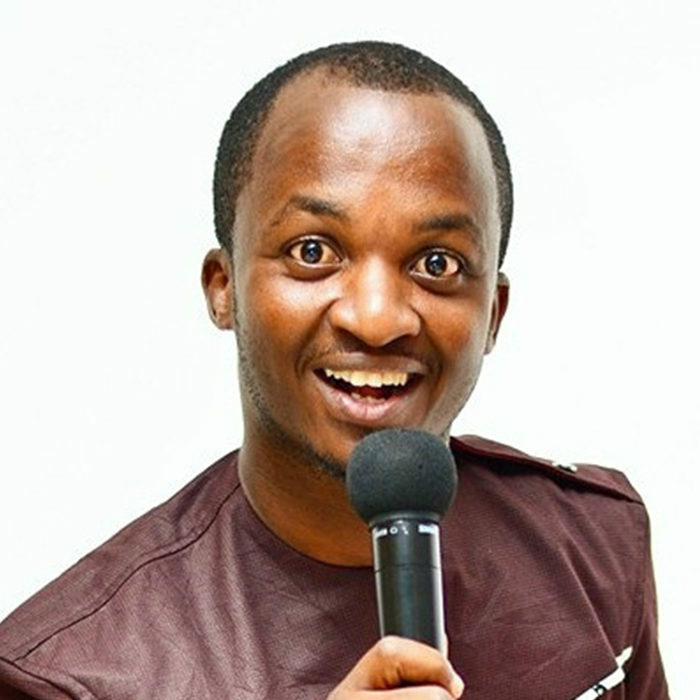 He began comedy in his 3rd year at the University of Ghana about 11 years ago. He has done several well patronized national shows and performed very well on all occasions. On the national platform, David has performed on "KSM's Afia Siribour, Laughter Express, Corporate Comedy Series and many other. David also performed at the Eastern Regional finals of the prestigious ‘Miss Ghana’ pageant and has emceed many corporate and social events. He has performed on many other shows and comedy clubs through the years, namely: Comedy Bar, the ‘Citizen Comedy Show’ where he performed for the former President John Agyekum Kuffour of Ghana at Citizen Kofi, Ghana. ‘GH Humour’ and ‘Funny People’, LMAO show . He is curently the CEO and Creative Director of Switchline Entertainment, an event management establishment that has successfully organised and managed, PURE COMEDY, one of Ghana's biggest stand-up comedy event brands over the past months which has featured stand-up comedians. He is currently planning the next Pure Comedy event in Ghana. He was recently endorsed by Ace Comedian and member of Ghana's parliament, Hon. Fritz Baffour on national Television as one of the most hilarious stand up comedians in Ghana. David Aglah is noted for his ability to mimic several accents with ease, causing many to call him the ‘Man of Many Accents’. He has a flair for the British, American, French, Hausa, Southern Africa, Indian accents, etc and has skillfully adapted them into his stand-up performances. Even though he occasionally does jokes, he builds most of his materials on observations in and around his social environment and the world as a whole.